Are you ready to have the Coolest Summer Ever at Disney’s Hollywood Studios®? 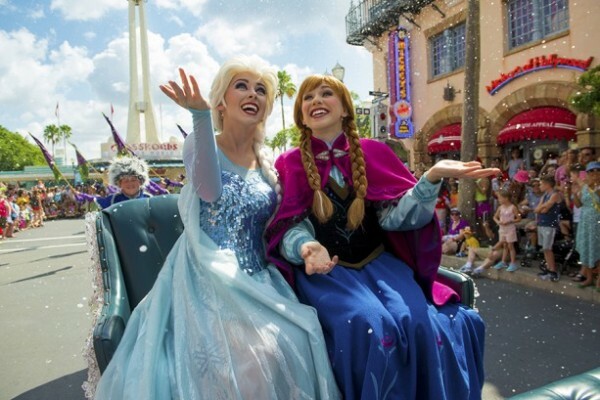 Reservations for the Frozen Summer Fun Premium Package are now available for dates starting June 17-Sept. 7, 2015. You can have a day fit for Arendelle royalty, with reserved viewing for a trio of Frozen Summer Fun experiences at Walt Disney World® Resort. Reserved seating for a choice of one show time of For the First Time In Forever: A Frozen Sing-Along Celebration. The cost for this package is $69 for adults, $39 for children age 3 to 9. Tax and gratuity are included. Package availability is limited. Click here to start booking your next Walt Disney World Vacation and experience the Coolest Summer Ever for yourself! This entry was posted on April 17, 2015 at 8:03 am and is filed under Disney Vacation Planning, Hollywood Studios, Special Events, Walt Disney World. You can follow any responses to this entry through the RSS 2.0 feed. You can leave a response or trackback from your own site.